Los Angeles columnist Steve Lopez (Robert Downey Jr.) has reached an impasse in his life. His marriage is on the rocks, and he's disillusioned with his job. 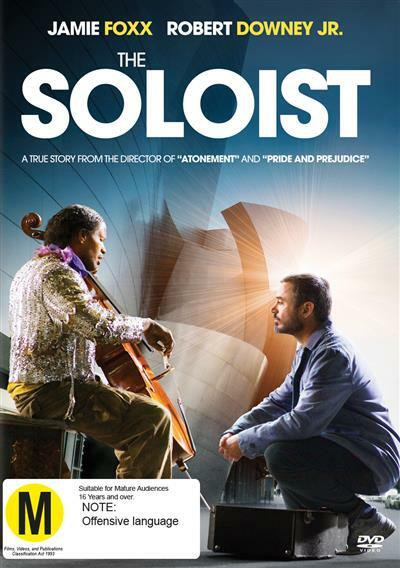 Then, while wandering through L.A.'s Skid Row, he spots a homeless man (Jamie Foxx) playing a two-stringed violin with a vi... read full description below. Los Angeles columnist Steve Lopez (Robert Downey Jr.) has reached an impasse in his life. His marriage is on the rocks, and he's disillusioned with his job. Then, while wandering through L.A.'s Skid Row, he spots a homeless man (Jamie Foxx) playing a two-stringed violin with a virtuoso's skill. Lopez initially thinks of the man, named Nathaniel Ayers, as just a story idea. But as he begins to unravel the mystery of Ayers' strange fate, Lopez realizes that a change is happening within himself.